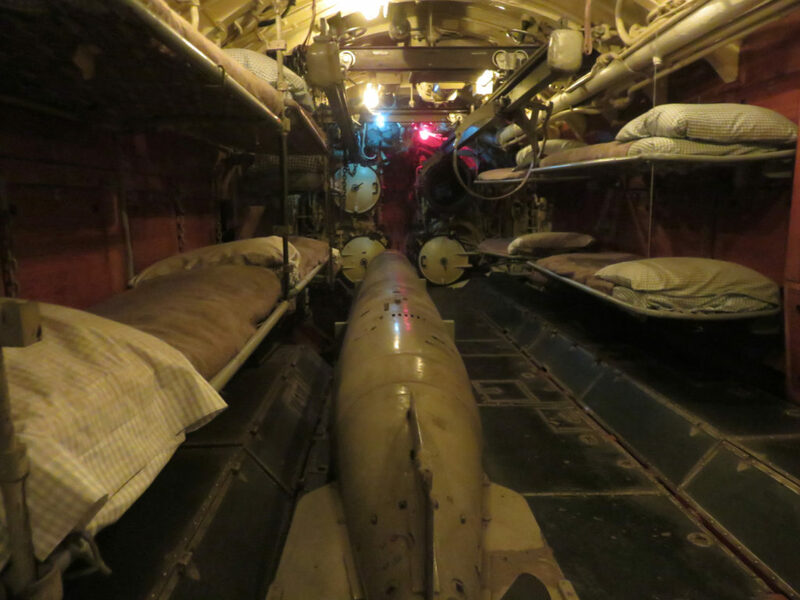 On the shores of Lake Michigan, just a short bus ride from downtown Chicago rests a German submarine. 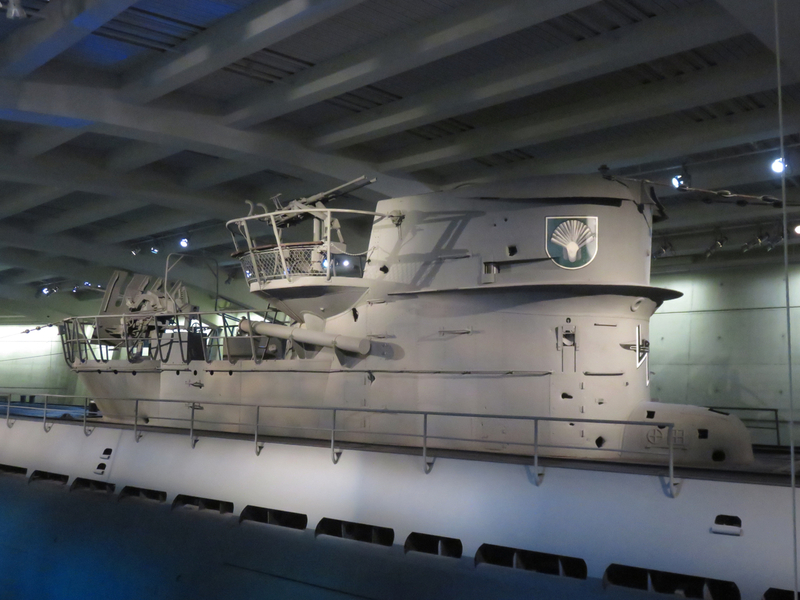 This U-Boat lies in peace thousands of miles from the Atlantic where it plied its deadly trade during World War II. How it came to be there is a story of vision, leadership…and a bit of luck. Back when I was an Air Force ROTC student I read Clear the Decks! by Admiral Daniel V. Gallery. Gallery was an early naval aviator who graduated from Annapolis in 1920 and competed in the 1920 Olympics as a wrestler. During the early days of WWII, he was the commander of the fleet airbase in Reykjavik, Iceland, from where his aviators waged war against the German submarine fleet. In his book, he describes how he handled his status conscious British Naval compatriots: it’s hilarious. What’s not hilarious, is what German U-Boats were doing to our shipping during the war. Allied forces lost 3,500 merchant vessels, 175 warships, and over 70,000 sailors and merchant seaman. Submarines were sinking American ships within sight of the Jersey shore. The cost was so terrible that it threatened Great Britain’s survival. 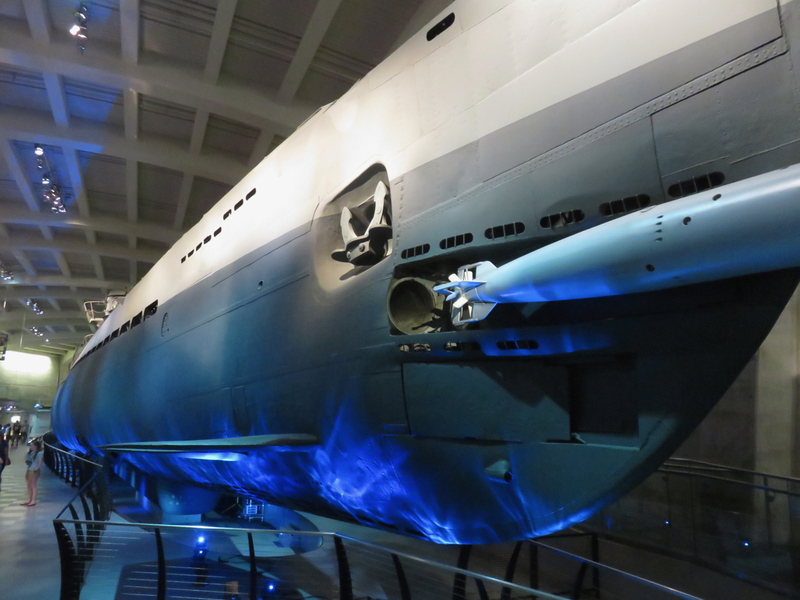 While in Iceland, Gallery had the audacious thought of capturing a U-Boat and its treasure trove of intelligence information. When he was assigned to be the commander of an antisubmarine task group, he was in position to carry out this plan. Even though no American ship had successfully captured an enemy ship since the War of 1812—Gallery dared to believe his team could do it. Working with US Naval Intelligence, they intercepted the U-505, a German submarine on patrol in the Atlantic off the coast of Africa. On June 4th, the task group tracked it and then executed a carefully conceived plan to bring it to the surface so the crew would abandon their ship—and the Americans could seize it. During the battle the U-505 fired off two torpedoes at their pursuers, but they missed. 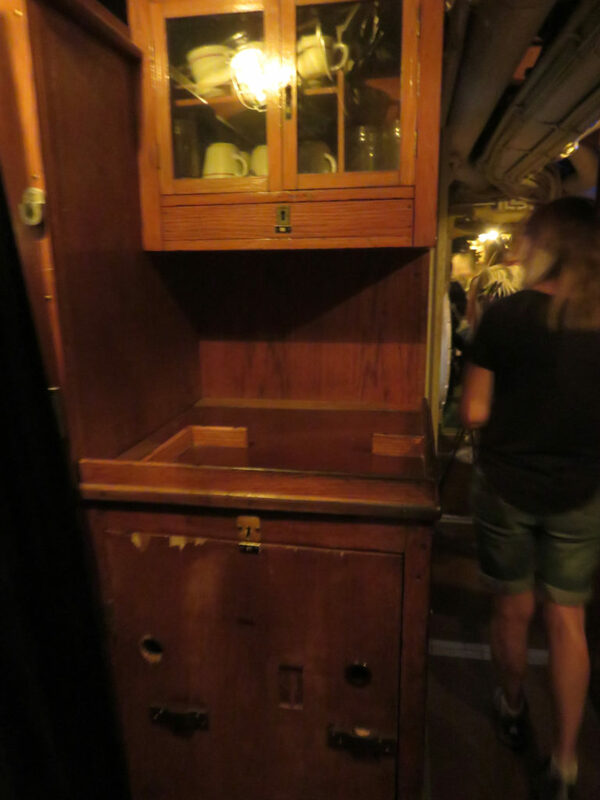 When the sub did surface and the Germans fled to their lifeboats, the Americans went down the hatches only minutes later. They knew that getting into the sub was the easy part. 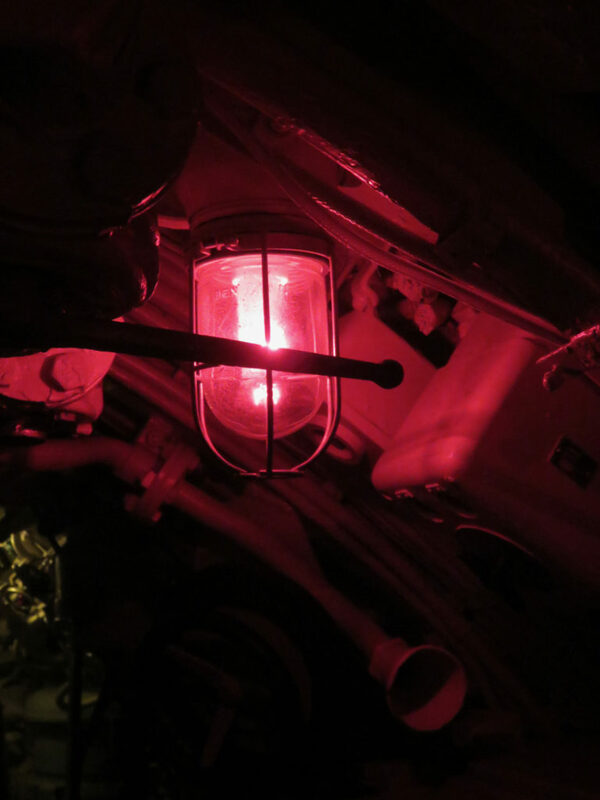 German were known to use booby traps and explosives to ensure that their U-Boats didn’t fall into enemy hands. The U-505 was flooding when the Americans boarded. Risking their lives, they managed to close valves that had been opened to sink the vessel. They located and disarmed the explosives. And using initiative and innovation, managed to drain the water and right the boat. They retrieved hundreds of pounds of classified documents, code books, plans—and two top secret Enigma machines. This intelligence trove probably saved thousands of Allied lives over the remaining course of the war. The task group towed the U-505 to Bermuda and kept their daring mission secret until the end of the war. Thanks to the efforts of Admiral Gallery and supporters, the former enemy vessel is now the center of a fascinating exhibit at the Chicago Museum of Science and Industry. Laurie and I walked through engaging presentations that described the threat of U-Boats, Gallery’s audacious plan, and how it played out. The centerpiece is the U-505 itself. 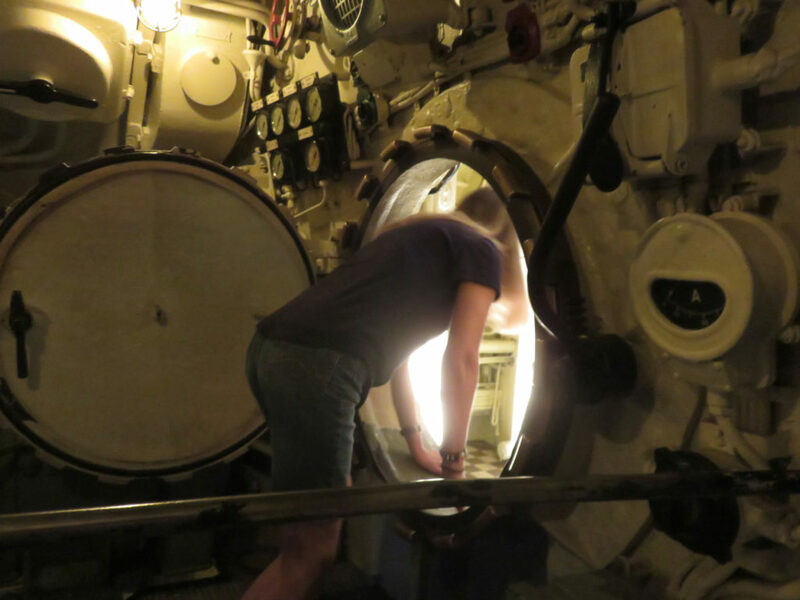 For an extra fee—well worth it—we walked through the boat with a guide and imagined what it was like to be a German submariner on that fateful day. Gallery was a true American leader who dared to dream and prepared to carry out his impossible dream. He accomplished it with planning, preparation, and more than a little bit of luck. I highly recommend Gallery’s Clear the Decks! It’s funny, inspiring, and a great study of leadership. My first international writing credit was in Strategic Air Command’s Combat Crew magazine. I quoted Gallery in that article which you can read here. Laurie and I noticed a scallop shell painted on the conning tower of the U-505. The scallop shell is the symbol of the Camino de Santiago which Laurie and I walked last year. According to our guide each captain painted a symbol on their boat. I don’t know why he chose the scallop shell. Maybe he once walked the Camino. Maybe he just collected sea shells. The German U-Boat menace was so bad that in the early days of World War II the US commissioned the Civil Air Patrol to fly their civilian planes on coastal patrols. Some were armed with bombs and they earned credit for two U-Boat kills. 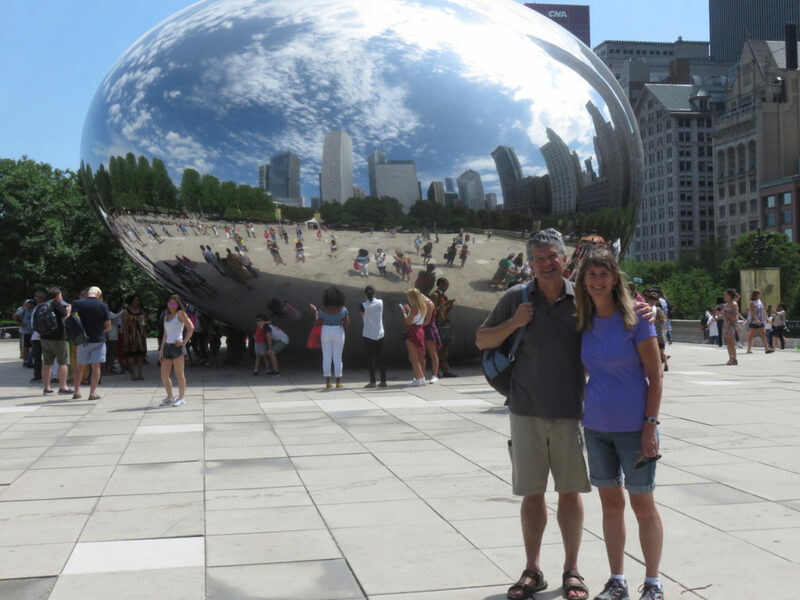 Laurie and I met—many years later—when we were both cadets in Civil Air Patrol. 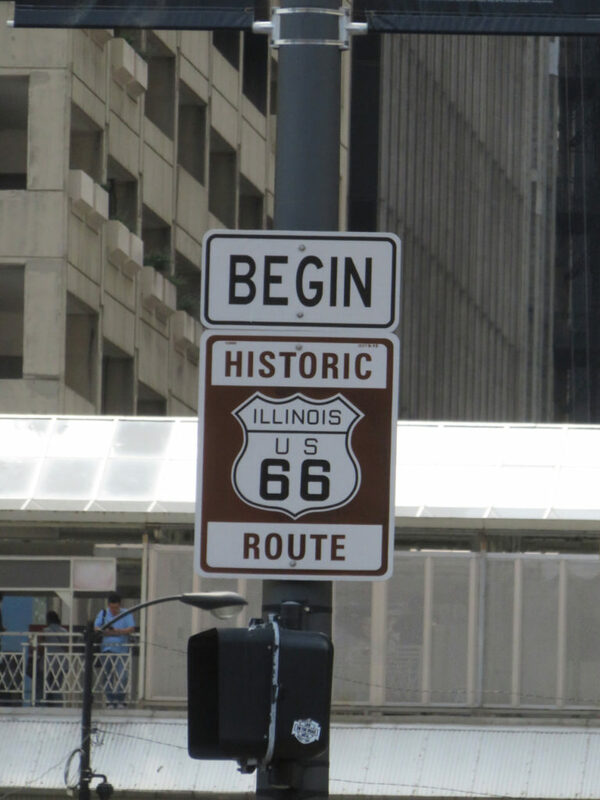 Trip Update: After some great days in Chicago, we headed west and are halfway through Route 66. We’ve met many friendly and fascinating people. Next week we’ll be taking a side trip off the route to visit friends in Colorado. Very cool… shades of “Das Boot”. 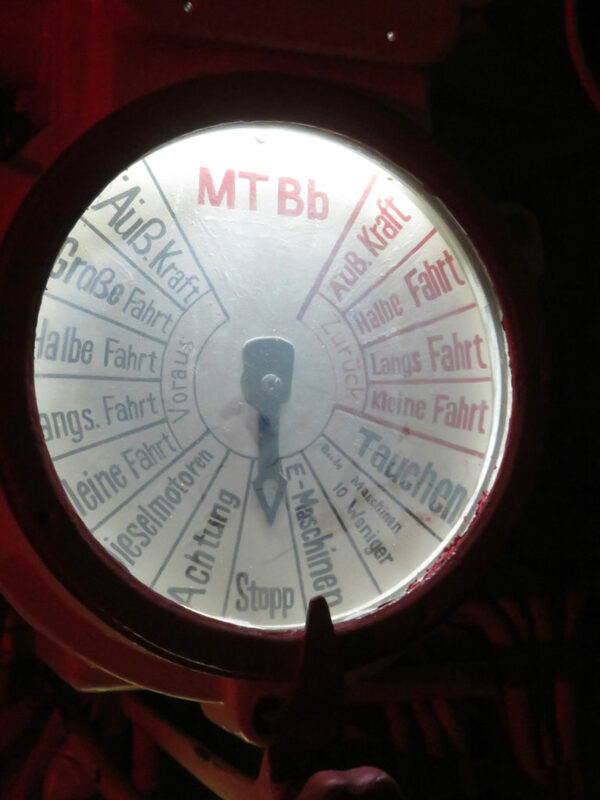 “Eight Bells and All’s Well”, “Now Hear This”, etc. 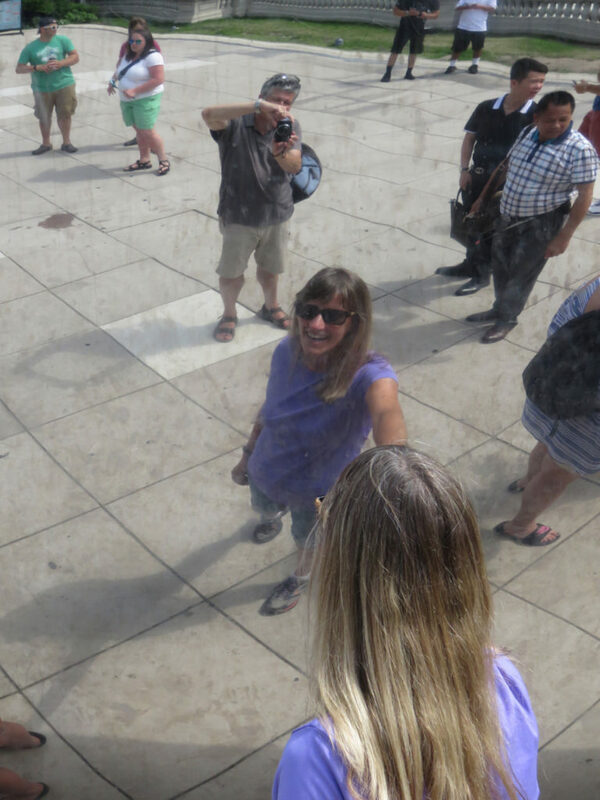 Thnx for the pics… likely the only way I’ll get there. He was a great writer, and a great leader. I borrowed his concept of the “plank owner” for farewell gifts. Will have to share that story sometime.